Pen friend Yeswanth kindly sent me these two Schneiders to review, and it's taken me a few months to take them for a spin. Assuming you were not able to read all of the writing sample, the bottom line is that these pens do exactly what they were designed to do - reliably put ink on the paper at a low cost. I don't personally love liquid ink pens, the reason being that they typically do quite poorly on cheap paper (feathering, bleeding). Conversely, liquid ink also offers the risk of smudging due to a lengthy drying time on premium papers, and this often holds true for fountain pen inks as well, but I give fountain pens lenience for being older technology. As for the Schneider themselves, they are thin, light, needle point pens, and the ink is very bold. 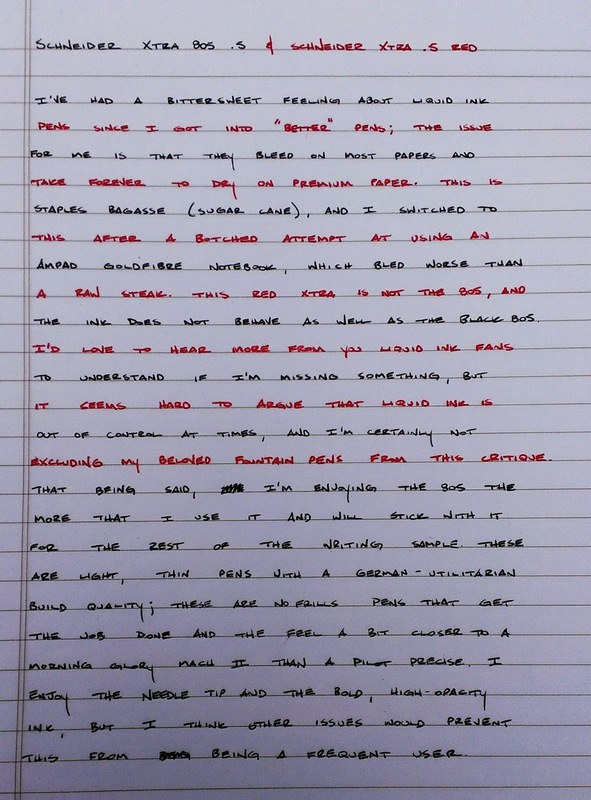 The red ink reminds me of Shaeffer Skrip Red, and the black is like any dense, opaque black. 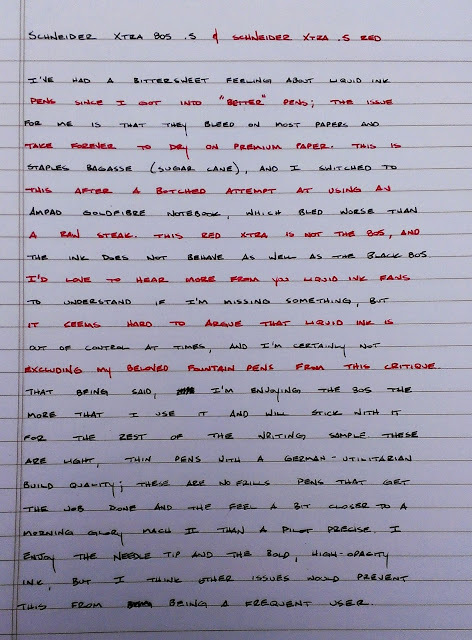 One big point to note is that the black, 805 version performed much better than the red, and I couldn't discern any major difference in the pens beyond the caps/clips - the red Schneider has a metal clip vs. the all plastic clip of the black (see below). 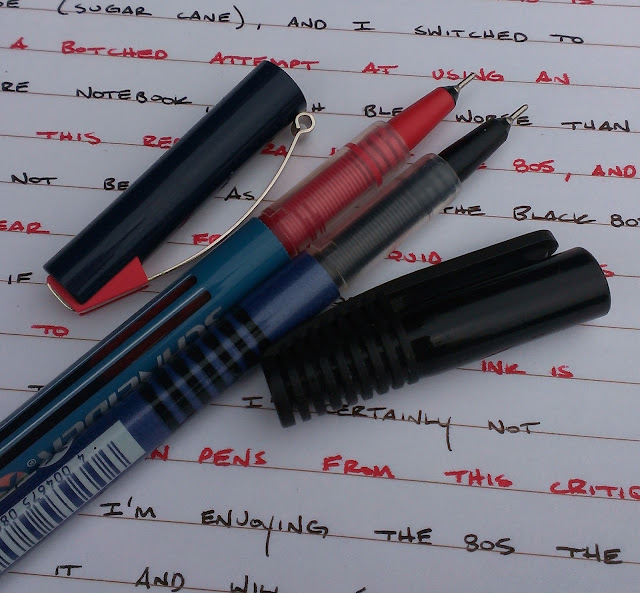 I always enjoy trying new pens, and though these don't meld well with my personal preferences, I can see a lot of people loving these pens, much like Yeswanth, who sent these to me, does. If you've tried these, let me know what you think of them.